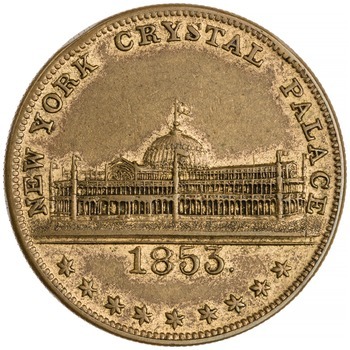 On March 23, 2017, New York Crystal Palace 1853 opened at the Bard Graduate Center in New York City. 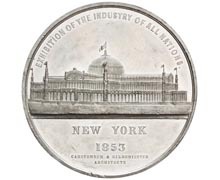 Shedding light on a near-forgotten aspect of New York’s cultural history, this exhibition explores the first world’s fair held in the United States. 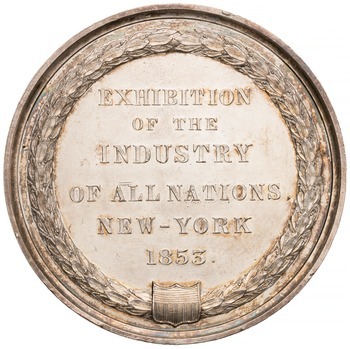 The Exhibition of the Industry of All Nations was opened in July of 1853, on the site of what is now Bryant Park, facing Sixth Avenue between 40th and 42nd Streets.It was housed in a modernistic cast‐iron and glass structure, the Crystal Palace, which became one of the city’s first tourist attractions. The event provided a venue to promote the innovations of the young nation and city. 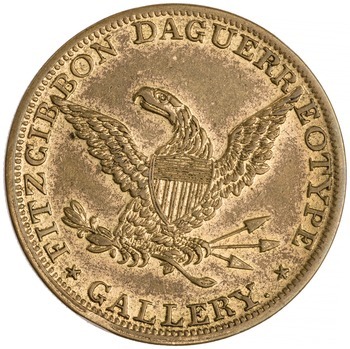 Thousands of exhibitors showcased an enormous range of consumer goods, artworks, and technological marvels of the age, presenting them to more than one million visitors. 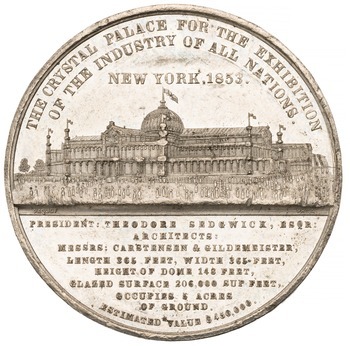 a silver award medal from the Exhibition of the Industry of All Nations, and a brass token for the Fitzgibbon Daguerreotype Gallery, one of the exhibitors, bearing a depiction of the Crystal Palace. 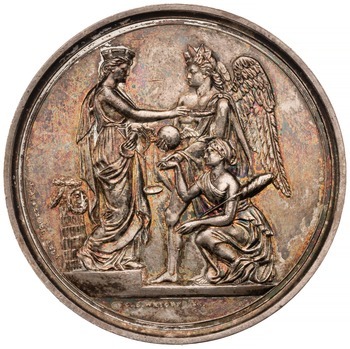 These five works celebrate the pride in industrial and artistic achievement embodied in the 1853 World's Fair and the Crystal Palace. 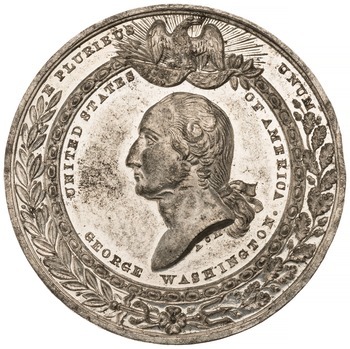 This exhibit will be on display until July 30, 2017.